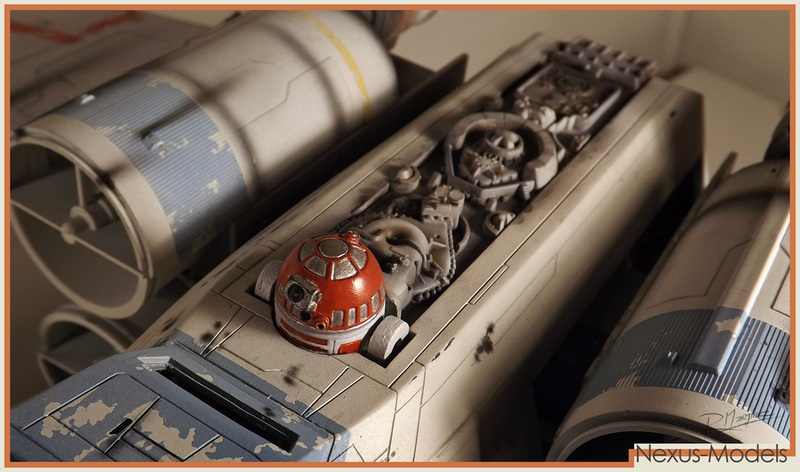 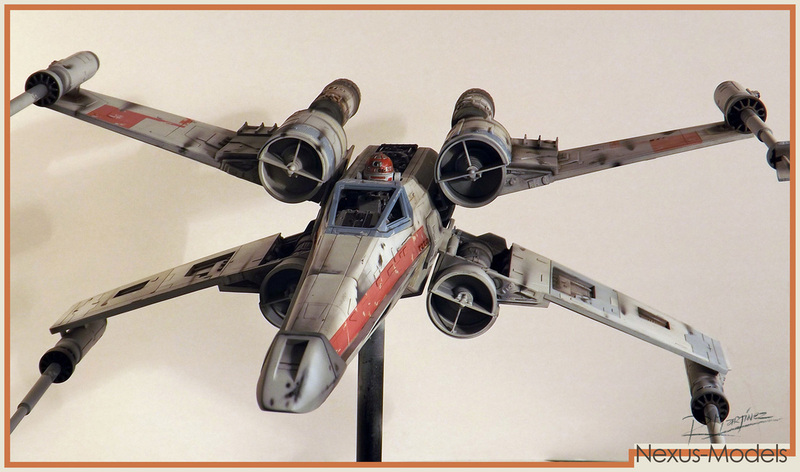 Red 1 X-Wing belonged to Garven Dreis who was Red Leader during the battle of Yavin. 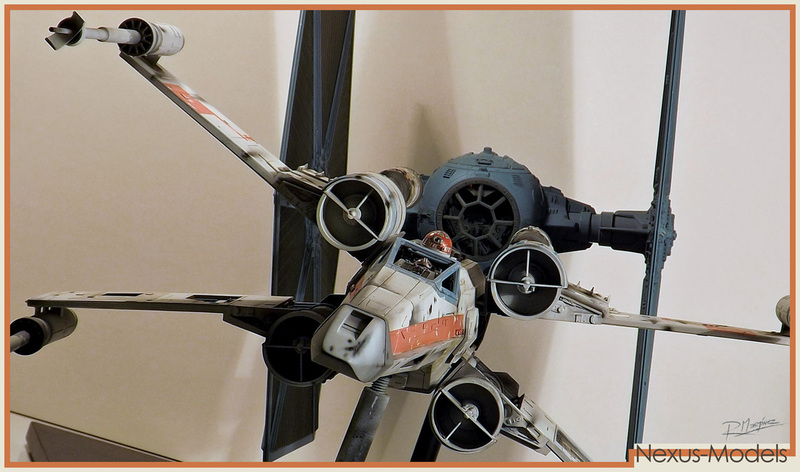 In the midst of the space dogfight he was shot down by Vader himself, and crashed on the surface of the Death Star. 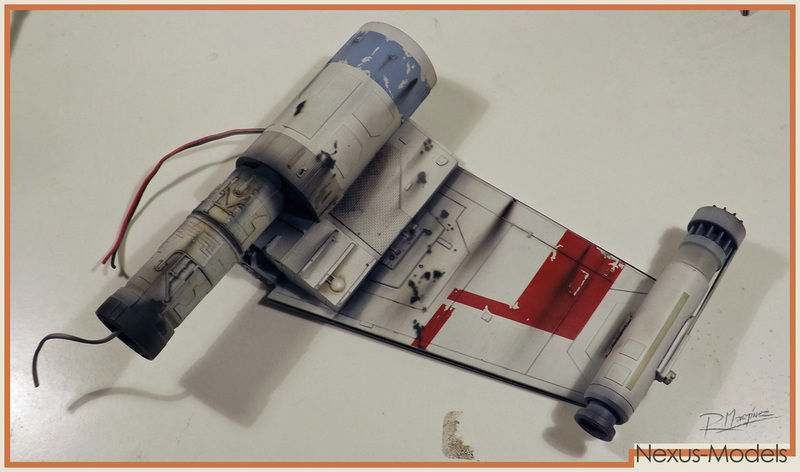 The Original Red 1 filming model is nowhere to be found these days, and all the documentation we have on it are some very good production photographs and movie stills. 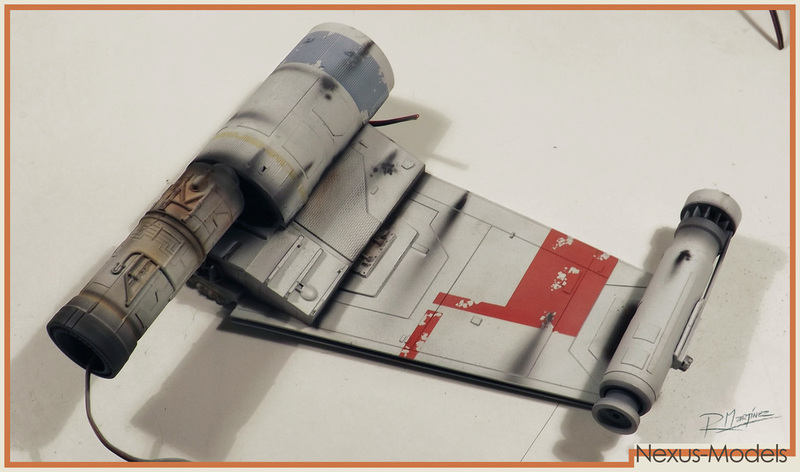 The final destiny of this model is a mystery, but it might yet be possible for us to see it emerge from some collection of an ex ILMer or somebody related with the 1977 film. 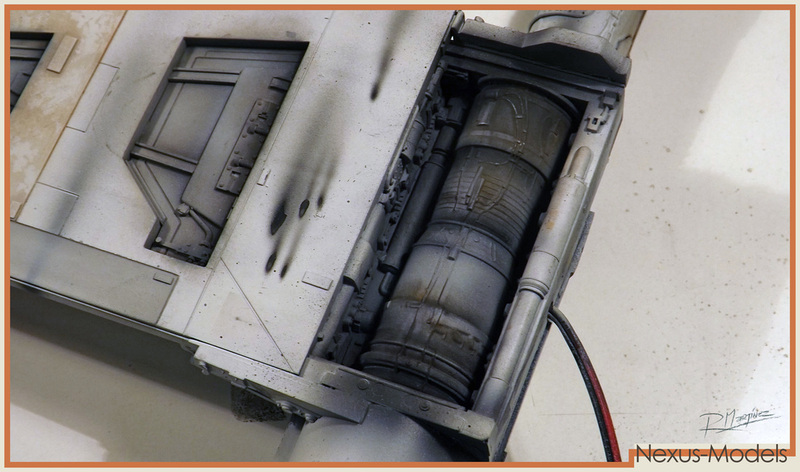 The other possibility is that the model was blown apart for a pyro shot that did not end in the film. 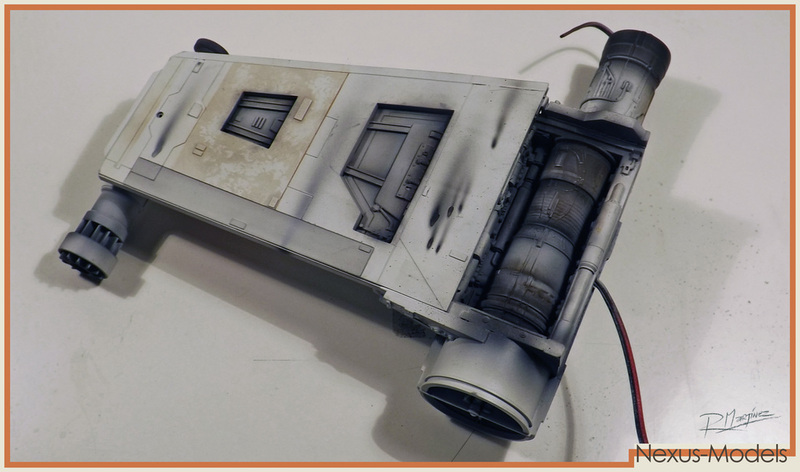 In what regards the painting work of the Red 1 model, it has not got to much weathering on it and it seems almost white. 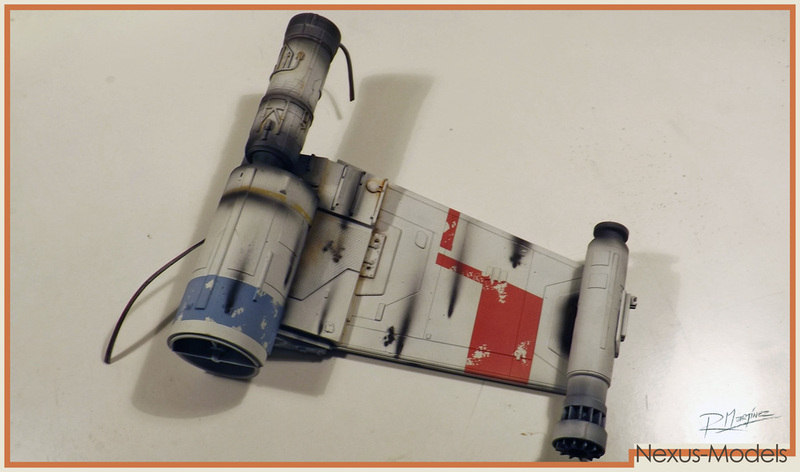 To achieve this look, I changed the base color I usually use on the X-Wings for a whiter tone that I think it looks better than my previous builds, so I will be applying the same basic color for my following builds. 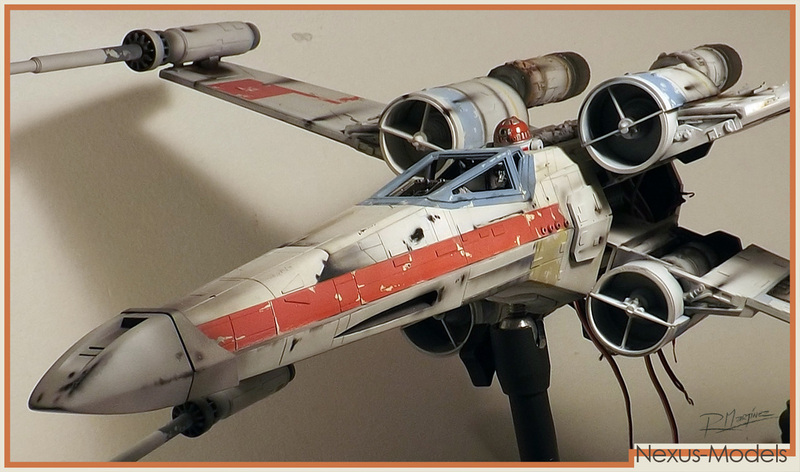 This Red 1 model is my first model with motorized wings. 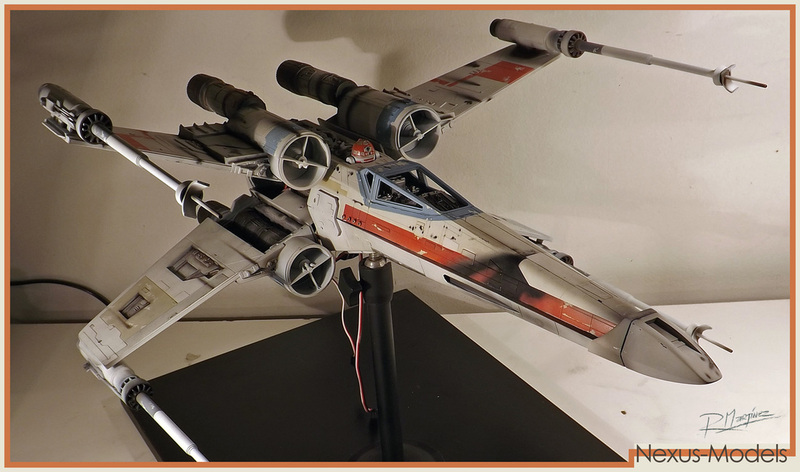 Each pair of wings is articulated by a Servo that it is controlled by an Arduino ATiny chip that also controls the lights on the engines and control panel. 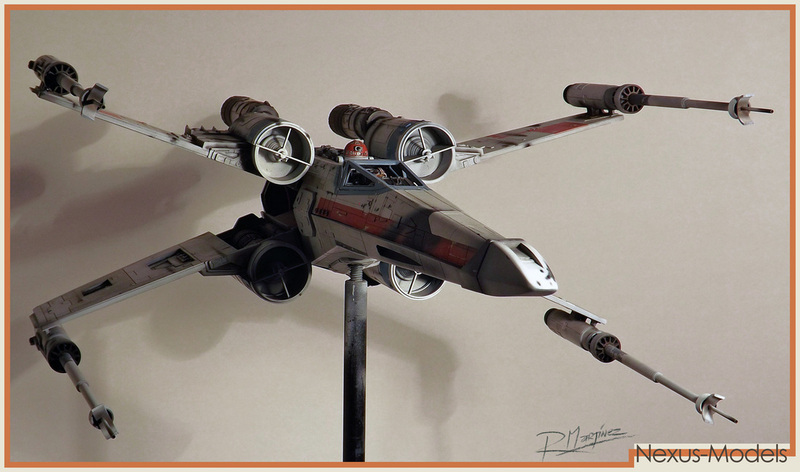 Both, wings and lights can be remotely controlled by any Bluetooth equipped P.C. 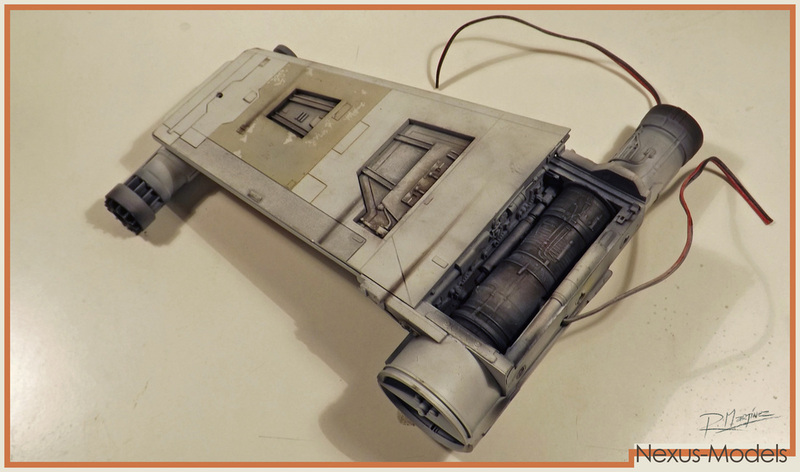 or Android cell phone or tablet. 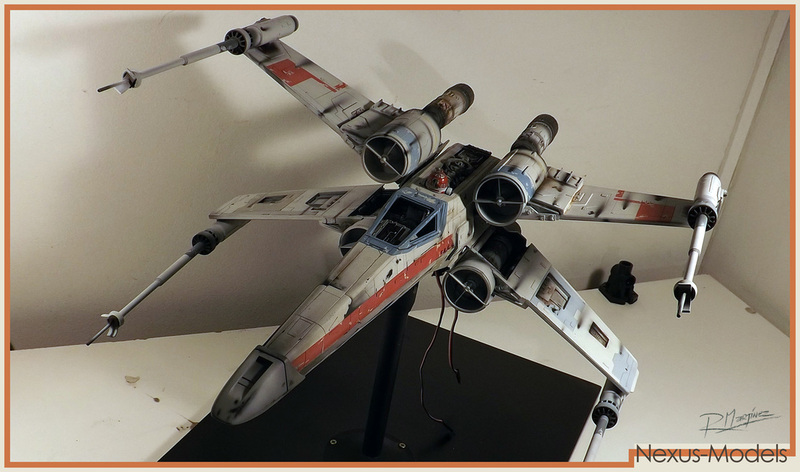 Link to a video of the basic electronics of this model. 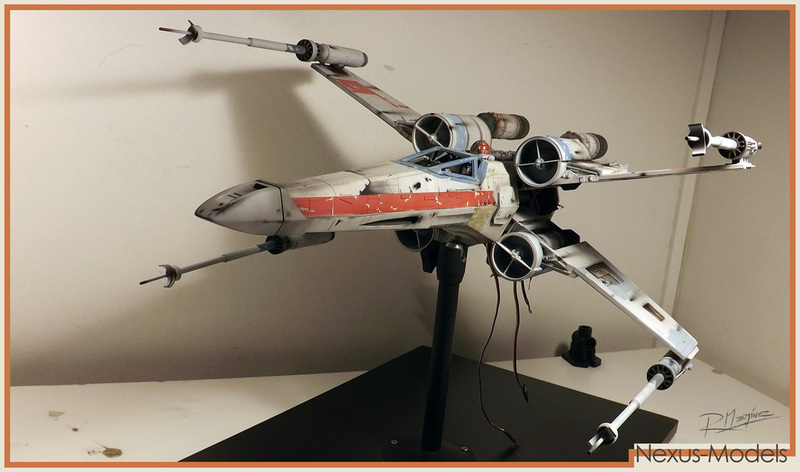 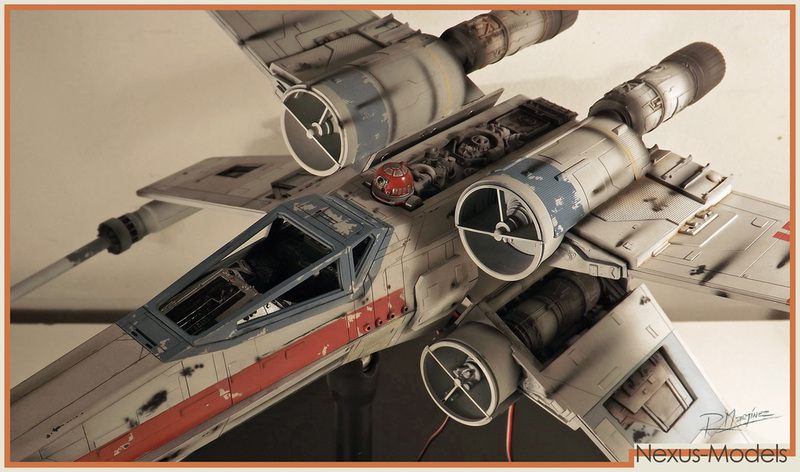 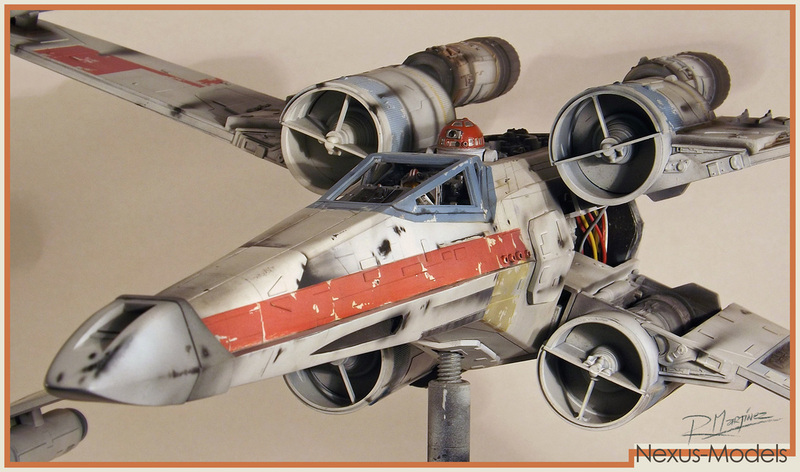 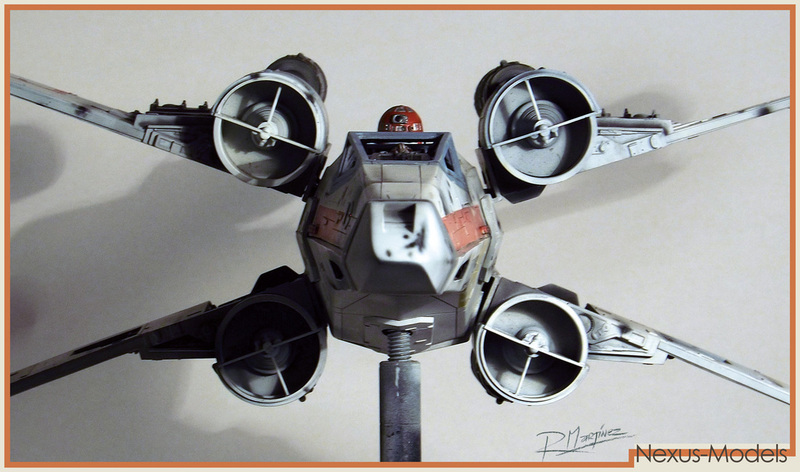 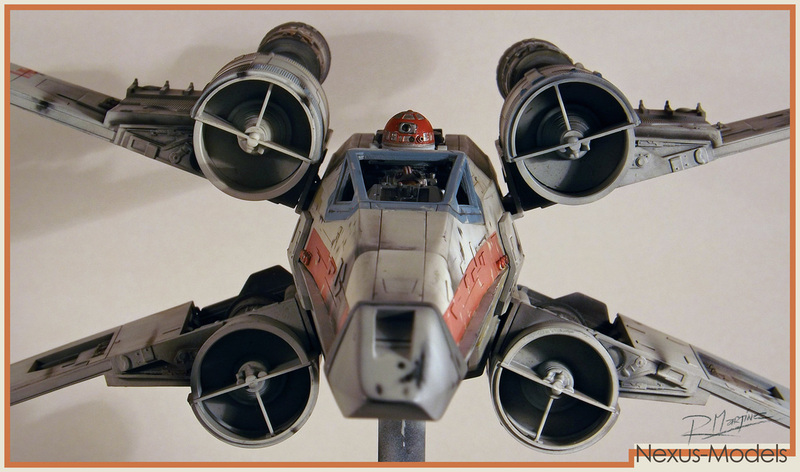 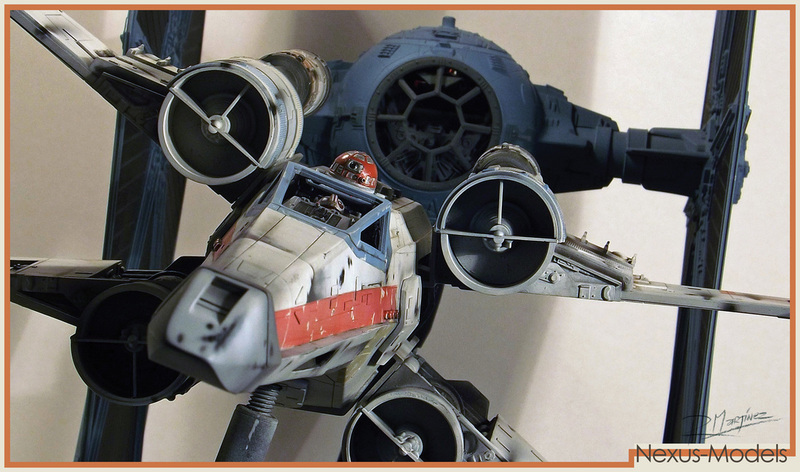 X-Wing Revisited Red 1 -Finished model Gallery. 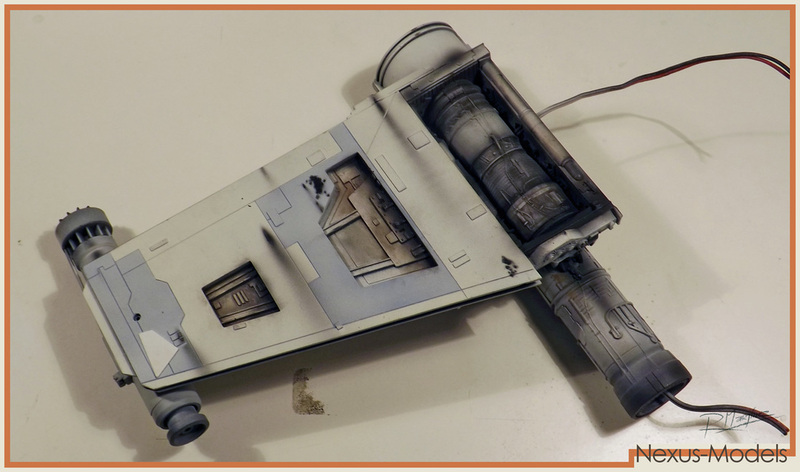 A new technique - Painting before assembly. 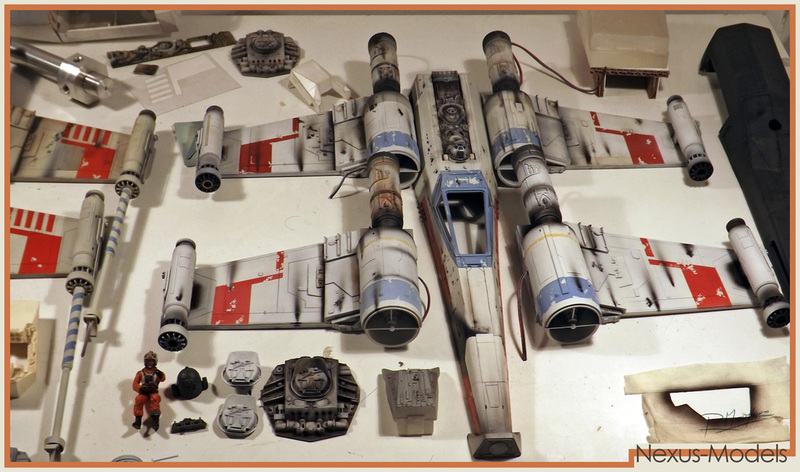 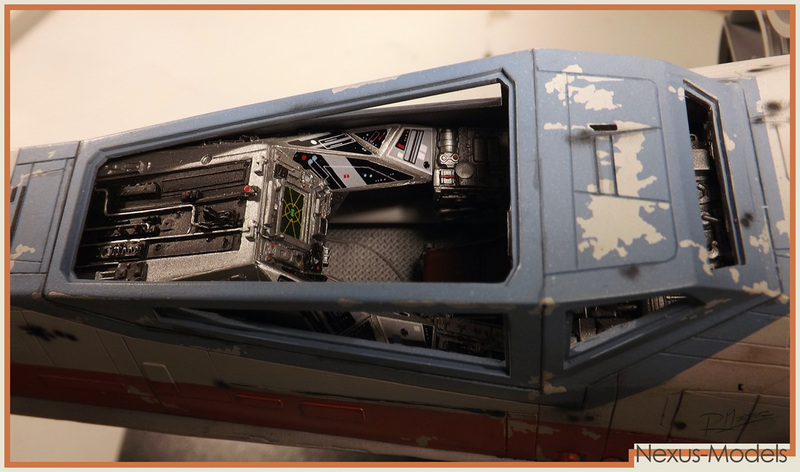 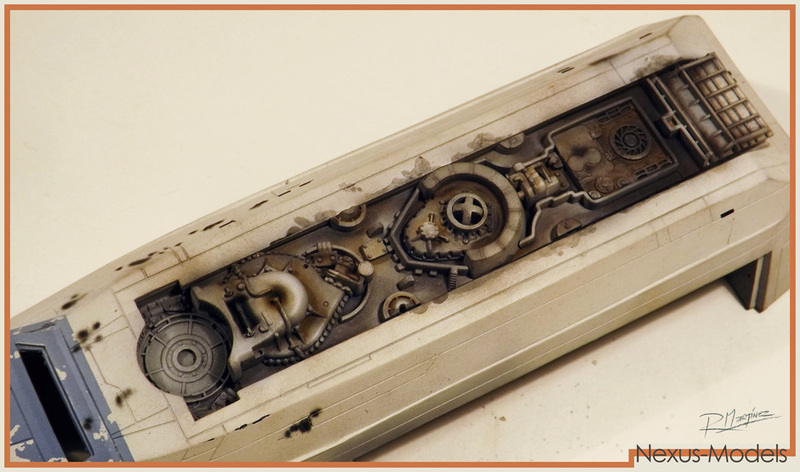 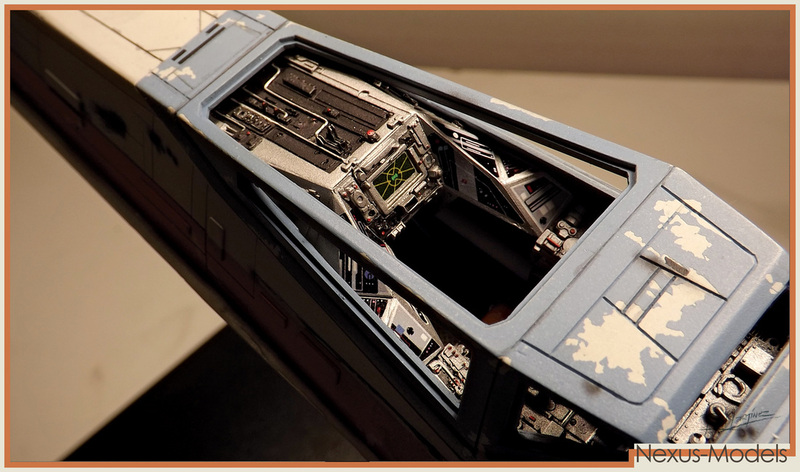 With the first X-Wing model I worked on, I preceded just as what you can see in the ILM production pictures, were modelers as Grant McCune are painting and weathering a fully assembled X-Wing. 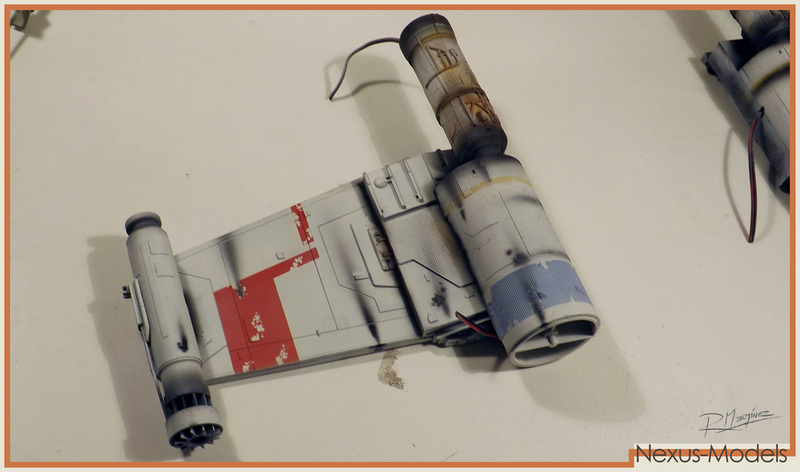 Well, after my first experience I noticed how annoying it was to be avoiding the guns all the time and how difficult was to weather the inside of the wings, so I decided to paint each wing separately in the future and attach them to the armature later. 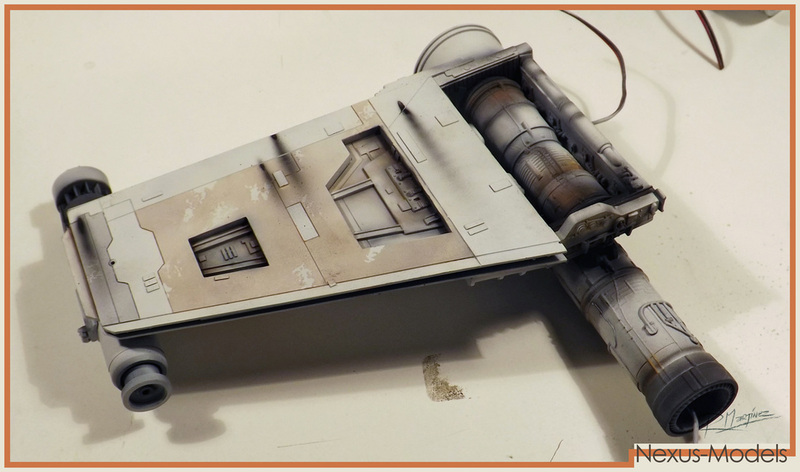 I decided to proceed the same way with the fuselage as it is a lot more fun and comfortable to paint it with out the wings. 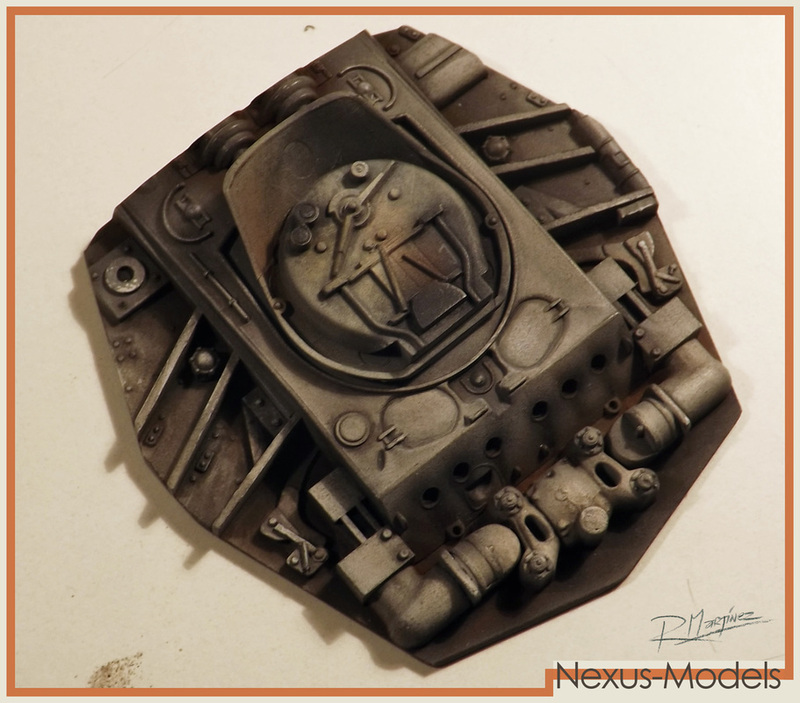 Then, afterwards, is putty is needed when assembling the whole thing it just easier to correct there where you need to.